Do Some Good can be a huge help in achieving your organization’s goals for GivingTuesday and beyond. NOTE: GivingTuesday is over, but you can participate in Canada150 and the Canada150for150 Volunteer Challenge! Do Some Good can be used to make recruitment easy and successful. You can post opportunities, connect with businesses (and their skilled employees) wanting to get involved & conduct outreach for interested volunteers. Positions can be created in no time from your management area and, once posted, can be easily shared to social media. Be sure to choose GivingTuesday when creating positions. This will ensure your dashboard shows hours logged towards this campaign and so volunteer hours feed up to the collective impact of GivingTuesday as a whole. Do Some Good allows you to communicate in real-time with volunteers. Once you’ve created positions (as part of an event or not) you will be able to send group messages by position, event or to all volunteers. Stay in touch by sending reminders leading up to GivingTuesday, send important updates or communication and follow-up with volunteers to get feedback and to recognize volunteers after the day is over. Do Some Good is the perfect place to broadcast your message to increase your reach and make people feel inspired, recognized and motivated! You can also ask your volunteers to share their pictures and stories throughout GivingTuesday. Do Some Good also integrates seamlessly with social media so posts can easily be shared to other social platforms. 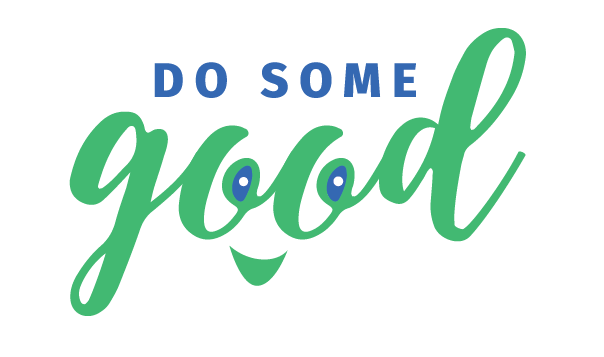 Join Do Some Good today by clicking HERE. All of these features are FREE for non-profit organizations and charities!